This book is a comprehensive guide to orthopaedics for postgraduate medical students. The fifth edition has been fully revised to present the latest developments and understanding in the field. The book covers numerous injuries and disorders, with each topic beginning with an overview of relevant anatomy, followed by principles and methods of diagnosis and clinical and surgical management. Each chapter includes a brief summary outlining key points, as well as example X-Rays for the topic in discussion. 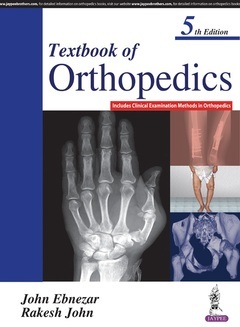 The fifth edition features new sections on trauma, geriatric orthopaedics, arthroscopy, and surgical techniques, as well as additional images including new X-Rays and MRI scans, and line diagrams.